* colors may vary based on screen display adjustments. Free Cardio Equipment Mat. *in-store only. 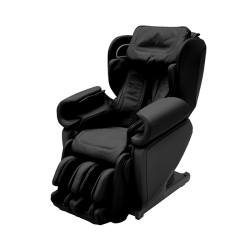 The high-performance JP1100 4D massage chair is expertly crafted by master Japanese technicians and is the first Japanese massage chair to ever feature a foot roller. This chair was produced in conjunction with the company that first invented massage chairs in 1954, so you know you’re getting top-of-the-line innovation. The JP1100 features the world’s most advanced dual layer body scan and the most advanced 4D style massage robot. The chair can auto detect your spine and shoulder position to optimize the depth and specific pressure points of the massage, giving you a personalized massage experience every time. It also includes an intuitive touchscreen controller, bringing a varied, world-class massage to your fingertips. Available in three colors: black, beige and espresso. “Near 180° flat recline” is a high-quality sleeping position allowing the user to stretch out nearly flat opening all the tissues of the back to massage optimizing the feeling of comfort and massage. An almost flat sleeping position is achieved due to the unique frame structure. Now during a longer massage you can relax and allow your body tissues to open freely allowing the massage robot to more effectively massage the affected area. “Power stretch” increases the effectiveness of the massage and loosens and relaxes muscles like you've never experienced before. These safe stretches increase massage effectiveness by targeting hard to reach muscle tissues and groups. “Dual heaters” warm up around erector spinae muscles and the soles of the feet. The dual heater works to stimulate blood flow and bring blood to the surface of the skin where the massage rollers can stimulate the tissue to enhance circulation. These heaters also loosen stiff muscles, enabling a more effective massage. Heaters can also be used independently. The sole of the foot supports the whole body, absorbs a lot of impact and is prone to fatigue. Proper care for the feet is essential to health. 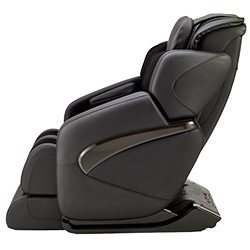 The JP1100 massage chair has a special roller and airbag designed to target the plantar fascia muscles in the arch of the foot. This special function utilizes Shiatsu massage movements while holding the foot securely with the air compression system located near the ankles and insteps simultaneously. It also promotes improved blood circulation when coupled with the integrated foot heaters. When you apply all three of these foot components at once, you’ll realize the full benefits of acupressure and the most ecstatic foot massage of your life! The clear, colorful display and menu configuration allow you to easily select programs and control the pressure and location of your massage. 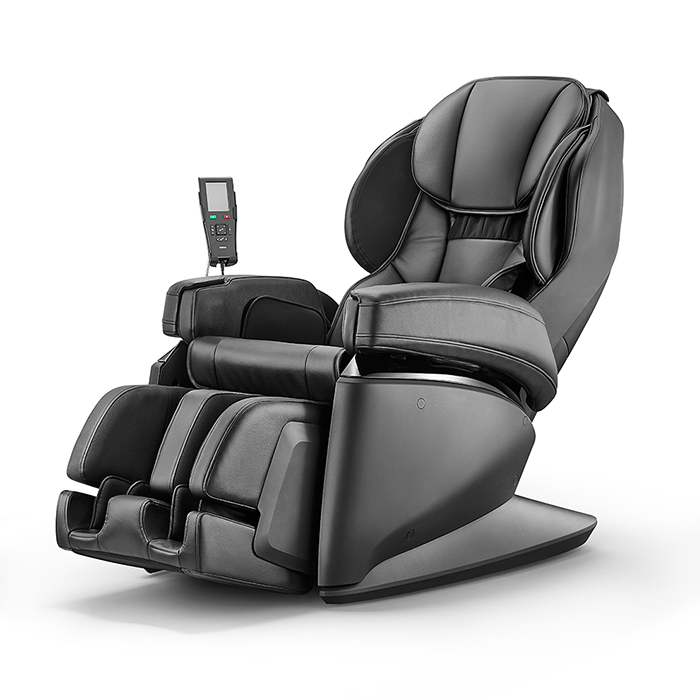 The JP1100 boasts 21 automatic programs including four 30-minute programs, numerous 16-minute loops and six different kinds of concentrated massage. There’s a program for every ache and pain or to simply give you a boost of energy and vitality. 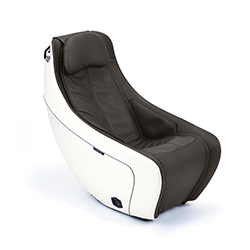 Synca JP1100 4D Massage Chair .